Drive home in your new pre-owned vehicle with the knowledge you're fully backed by the CARFAX Buyback Guarantee. Why spend more money than you have to? This Mitsubishi Mirage G4 will help you keep the extra money you'd normally spend on gas. The greater your fuel-efficiency, the less your carbon footprint. And with exceptional MPGs, this Chrysler 200 treads ever so lightly on Mother Earth. The look is unmistakably Chrysler, the smooth contours and cutting-edge technology of this Chrysler 200 S will definitely turn heads. The 2015 Chrysler exterior is finished in a breathtaking Bright White Clearcoat, while being complemented by such a gorgeous Black interior. This color combination is stunning and absolutely beautiful! How to protect your purchase? CARFAX BuyBack Guarantee got you covered. What's the best way to keep your occupants occupied in this Chrysler Town & Country ? A full-featured entertainment system. It's included and ready to entertain. This 2014 Jeep Patriot comes with a CARFAX Buyback Guarantee, which means you can buy with certainty. On almost any road condition, this Jeep Patriot Sport offers solid performance, reliability, and comfort. Drive home in your new pre-owned vehicle with the knowledge you're fully backed by the CARFAX Buyback Guarantee. The Honda Fit Base is economically and environmentally smart. Honda clearly delivers on its promise to provide a fuel-efficient vehicle that has the great qualities you need in a vehicle. It's not a misprint. And the odometer isn't broken. This is a very low mileage Honda Fit. A rare find these days. The Honda Fit stands out for a couple of very important reasons: its perky driving experience and its excellent and very versatile seating layout. The Fit remains more fun to drive than many other vehicles in this class, thanks to the engaging powertrain and well-matched transmissions, combined with a suspension that's sporty but not uncomfortable. Thanks to the Honda Fit's so-called Magic Seat arrangement, it allows a more usable cargo space than most other small hatchbacks. 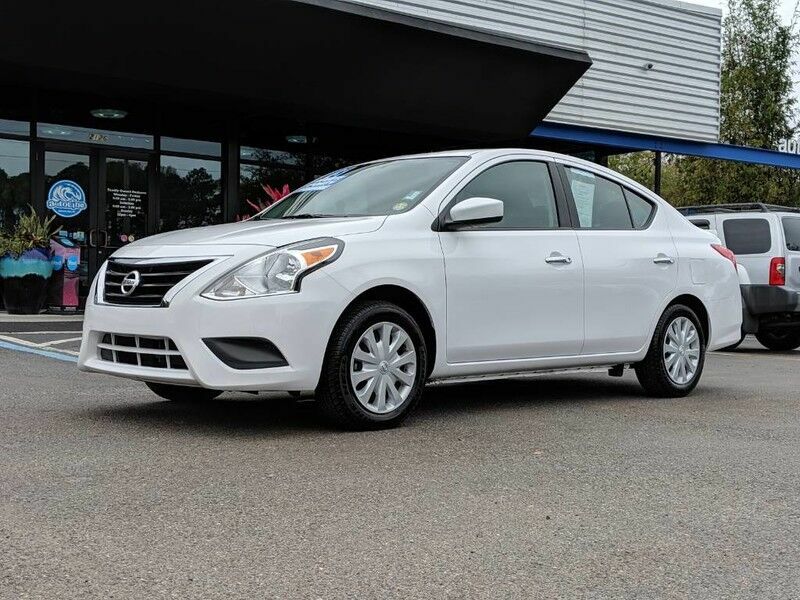 In addition, its rear seating comfort is a step better than other models in this class and the rather low beltline affords a good view out for everyone. As with most subcompact hatchbacks--but even more so here--the Fit is a near-ideal city car, and it parks very easily while it's also lively enough for merges and quick lane changes. CARFAX BuyBack Guarantee is reassurance that any major issues with this vehicle will show on CARFAX report. When it comes to high fuel economy, plenty of versatility and a great looks, this Chrysler200 LX cannot be beat. This Chrysler 200's superior fuel-efficiency is proof that not all vehicles are created equal. The 200 LX has been lightly driven and there is little to no wear and tear on this vehicle. The care taken on this gently used vehicle is reflective of the 77,146mi put on this Chrysler. Your buying risks are reduced thanks to a CARFAX BuyBack Guarantee. Why spend more money than you have to? This Honda Civic Cpe will help you keep the extra money you'd normally spend on gas. There is no reason why you shouldn't buy this Hyundai Genesis 3.8L. It is incomparable for the price and quality. The Hyundai Genesis sedan takes aim at mid-priced luxury sedans. The V6 model comes with dual exhaust, dual-zone climate control and leather seats. The V8-engined sedan has a 14-speaker sound system, rain-sensing windshield wipers and proximity entry. The all-new 5.0 R-spec model it well suited to be a real player in the high-performance sedan segment, offering a blistering 429 hp and a performance-tuned suspension system. This vehicle is loaded with great features, plus it comes with the CARFAX BuyBack Guarantee. The Routan SE is well maintained and has just 100,149mi. This low amount of miles makes this vehicle incomparable to the competition. The Routan appeals to minivan buyers who want a little more style and verve in their family hauler. Clean Volkswagen design cues dominate inside and out, and the Routan features a "European-tuned" suspension that's more handling-oriented than other minivans. A new, more powerful V6 is available for 2011, and should prompt minivan buyers to take a second look at the Volkswagen minivan. Drive home in your new pre-owned vehicle with the knowledge you're fully backed by the CARFAX Buyback Guarantee. With less than 63,000mi on this Hyundai Genesis Coupe, you'll appreciate the practically showroom newness of this vehicle. With a curvaceous, rakish profile and large wheels, combined with a flamboyant, cockpit-style interior layout, Hyundai's new Genesis Coupe stands out as a good-looking rival to both traditional muscle coupes like the Ford Mustang--and also to more luxurious grand-touring coupes such as the Infiniti G37. Its all-new rear-wheel-drive platform was designed for performance duty, and the Track model should attract driving enthusiasts far and wide. Price itself is another reason to put the Genesis Coupe on your list; at $22,000, the base 2.0T model is an especially well-equipped sporty coupe, and a great value. Savor the satisfaction of safety in any condition with this AWD GMC Terrain. Superior acceleration, unmatched traction and stability as well as a luxurious interior round out the impressive features of this AWD GMC Terrain. Starting at just under $24,000, the 2010 GMC Terrain is one of the most affordable vehicles in its class, which includes competitors Honda CR-V and Toyota RAV4. The interior features a dual-cockpit design, ice-blue ambient lighting and cool black and silver accents that give the Terrain a sense of class. Storage areas are everywhere in the cabin, such as an oversized glove box, a closed storage bin in the instrument panel above the center stack and a closed storage bin under the center armrest large enough for a laptop computer. The rear seats again in 2010 feature MultiFlex, which allows the seats to move back and forth a total of eight inches for the best rear legroom in the segment. The 2010 Terrain features rocker panels integrated into the doors, narrowing the area over which a passenger must step. The body is now stiffened with single-piece side stampings plus high-strength steel in critical areas. In addition to the efficient 4-cylinder engine, the Terrain' steering system is rack-mounted but electrically power-assisted, which helps maximize efficiency. How to protect your purchase? CARFAX BuyBack Guarantee got you covered. It's not a misprint. And the odometer isn't broken. This is a very low mileage Honda Odyssey. A rare find these days. The 2010 Honda Odyssey is still one of the top-rated minivans in the U.S., often compared to the top-rated Toyota Sienna. With ample passenger capacity, a folding third-row seat and several beverage holders, the 2010 Odyssey's design emphasizes cutting edge style, safety and clever innovation. Safety is important to minivan buyers, so the Odyssey employs standard multiple airbags, electronic stability control, anti-lock brakes, active head restraints and many other technologies intended to keep passengers safe. The Honda Odyssey won a 2010 Top Safety Pick from the Insurance Institute for Highway Safety, and it has earned five stars from the National Highway Traffic Safety Administration for both frontal and side impact crashes. Your buying risks are reduced thanks to a CARFAX BuyBack Guarantee. You can finally stop searching... You've found the one you've been looking for. With more than 100 onboard sensors to monitor the slightest change in the vehicle's path, the 2009 Lexus ES 350 is as intuitive as it is comfortable to drive. It also offers more interior room and safety features, and boasts a lower price tag, than most other vehicles in its class. Unlike its GS and IS stablemates that have a distinct performance focus, the front-wheel-drive ES emphasizes top luxury and technology. The car shares its platform and some of its components with the best-selling Toyota Camry but has enough styling differences and upgraded equipment to earn it a spot in the luxury class. Interesting features of this model are Quiet, luxuriant interior, luxury and technology features, and Seamless power delivery and fuel economy. When you purchase a vehicle with the CARFAX Buyback Guarantee, you're getting what you paid for. Tackle any terrain with this 4WD Honda Ridgeline RTS. Off the road or on the parkway, you'll drive with confidence no matter the weather conditions or landscape. Strengths of this model include handling relative to other pickups, Ride and refinement, outstanding safety, and half-ton load capacity. Drive home in your new pre-owned vehicle with the knowledge you're fully backed by the CARFAX Buyback Guarantee. The Lexus RX 350 offers a fair amount of utility thanks to its advanced features and unique styling. It's also quite sporty, and injects an ample amount of handling chutzpah into the ridin'-high body of a family-friendly SUV. How to protect your purchase? CARFAX BuyBack Guarantee got you covered. You can tell this 2006 Ford Mustang has been pampered by the fact that it has less than 113,255mi and appears with a showroom shine. Surprising quality accompanied by a high level of performance...this Torch Red on Dark Charcoal Ford Mustang Standard could end up being the perfect match for you. Look no further, you have found exactly what you've been looking for.